Our global community has become increasingly health-conscious, often pushing for strict workout regimes and meticulous diets. Celebrities and social media influencers have turned into our health gurus, guiding us through a plethora of diets, all of which come with appealing promises (weight loss, health benefits, toxin removal, reduced animal cruelty, etc). While it is important to prioritize one’s physical wellbeing, healthy eating can turn dangerous, when it becomes an obsession. 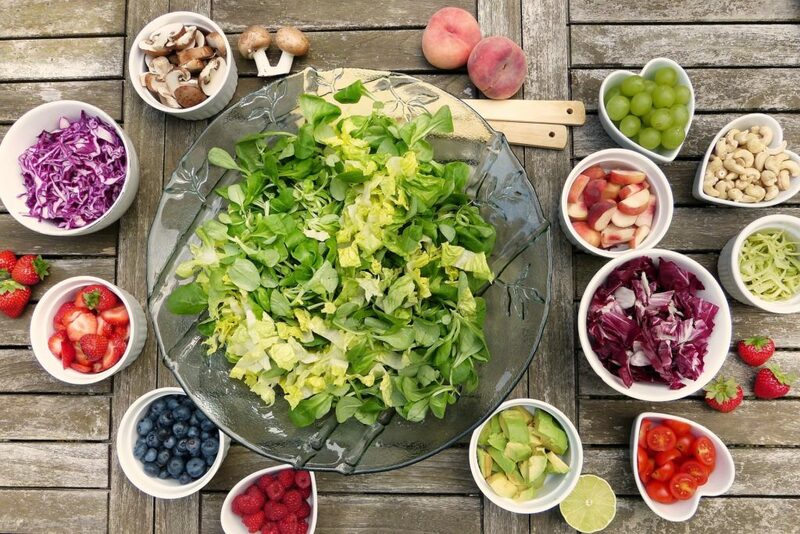 The obsession with healthy eating is called orthorexia and in a study conducted by Carla E. Ramacciotti and colleagues, there was a 57.6% prevalence in the population examined by the said researchers. Most diets that are currently gaining popularity have a list of “good” foods and a list of “bad” foods. For example, the Paleo Diet focuses on weight loss and health improvement through the consumption of unprocessed foods. “Good” foods in this diet include fresh fruits and vegetables; meat (free-range chicken/grass-fed); wild-caught fish; nuts; and herbs. “Bad” foods include corn, potatoes, processed foods, “junk” foods (soda, chips, candy), pasta, corn, soy, and refined sugar. The strict guidelines and restrictions attached to most diets make an individual susceptible to developing a fixation with food and feeding habits. According to dietician nutritionist Bridget Komosky, orthorexia may become comorbid with obsessive-compulsive disorder (OCD), because of the preoccupation with ritualistic eating habits. In Komosky’s words: “If foods considered “unhealthy” are consumed, thoughts can often become so distressing that individuals feel the need to perform a compulsion (which can often include over-exercising and/or fasting in order to relieve anxiety).” Symptoms shared by orthorexia and OCD include: an obsession with reading food labels and the nutritional value of food; a religious focus on social media platforms about healthy living; the expression of extreme anxiety in the presence of “bad” foods or in the absence of “good” foods; and the complete exclusion of a wide variety of foods from one’s palate. Additionally, orthorexia also makes it very difficult for individuals to enjoy a meal outside the comforts of their personal settings (i.e. a restaurant or a friend’s house). What makes orthorexia stand out from many other eating disorders is that those affected by it aren’t generally preoccupied with their body image. In other words, while most disorders such as bigorexia, anorexia, pregorexia, bulimia, and diabulimia all revolve around the fixation with one’s physical appearance, individuals with orthorexia are focused on the specifics of what they consume and how healthy their lifestyle is. Treatment for orthorexia includes cognitive behavior therapy, dialectical behavior therapy (a mixture of cognitive, behavioral, and meditative therapies), medication, and consultation with nutritionists. Orthorexia is very ironic indeed, as it is hard to imagine that one can exacerbate one’s well-being while trying to improve it. Although orthorexia isn’t strictly revolved around body image, the resulting obsession with food and feeding habits mirror most other eating disorders. Additionally, while those inflicted with orthorexia are focused on eating healthy, the OCD-like symptoms and habits concentrated on food restriction can have very serious negative consequences. As a result, it is important to raise awareness about the importance of discussing diets in ways that are less restrictive or less “good” or “bad,” and more lenient and follower friendly. “Orthorexia.” (n.d.) Mirasol Recovery Centers. Retrieved November 25, 2018, from https://www.mirasol.net/eating-disorders/orthorexia.php. Ramacciotti, C.E., Perrone, P., Coli, E., Burgalassi, A., Conversano, C., Massimetti, G., & Dell’Osso, L. (2011). Orthorexia nervosa in the general population: a preliminary screening using a self-administered questionnaire (ORTO-15). Eating and Weight Disorders, 16(2), 127-30.